I met Kriste Peoples on location at a Skirt Sports photo shoot a couple years ago. Within five minutes, I was asking her to change outfits, run around and be happy. You know what she said? Yes! Today's Mile Repeat is quite a bit longer than the 8-20 minutes I promised, but we couldn't help it! More on Kriste & her incredible journey here: Kriste is a Denver-based writer, producer, speaker, Skirt Sports ambassador, and women's trail running coach in search of the perfect sock. Her work in the field of equity and inclusion in nature combines speaking and facilitating transformational experiences for others. 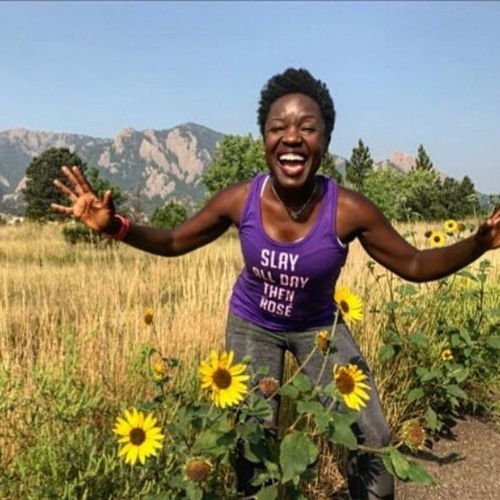 And as founder of Black Women’s Alliance of Denver she extends her passion for connecting underrepresented communities to new, empowering narratives of wellness.